I am indeed honored to have received the 2018 Sam Adams Award, and as with so many things, timing is everything. 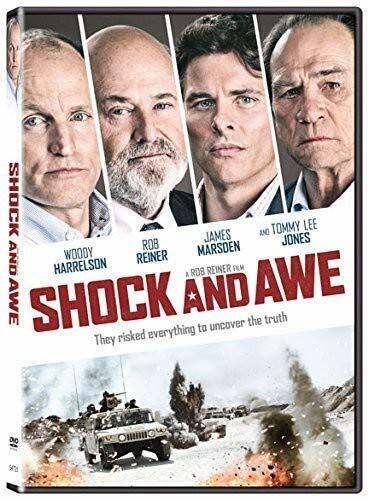 The Rob Reiner movie Shock and Awe was released in the US last summer, a very watchable drama documenting US government fabulations on the road to the Iraq war in 2002 and 2003. Constructed by government political appointees and politicians, foisted on the American people, heavy lifting courtesy of the New York Times and the Washington Post, and the television “news”, rendered most of the country either willfully or blissfully ignorant. Of course, too many of our countrymen and women, and large parts of Iraq were simply rendered, fat and black oil burning, sizzling, stinking, dying, melting into the dust and fusing with sand. Surely our government would not lie to, deceive, steal from and destroy us, in the name of some hidden agenda of ideology, oil, or for the sake of investment opportunities and a political dependency on an old men’s entangling alliance. What kind of government would that be? 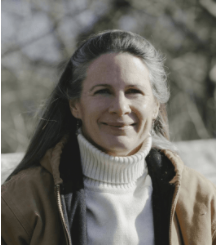 The ceremony last Saturday night in DC was inspiring, and I shared my thoughts on the future of truthtelling. Like most libertarians, I’m pessimistic in the short term, optimistic in the long term. Like any good anarchist, I am wholly comfortable identifying the state as the primary enemy of peace and prosperity. The American bureaucratic state, enamored of war and enmeshed in corporate strangleholds, empowered by debt, emboldened by bluster, is a dangerous enemy, not just to the world but to average Americans. We need to stop subsidizing it. But before that happens, with or without our direct action, we really should get to know it better and understand how it operates. At a fundamental level, it is about people. There is a specific group of people who engineered the Iraq war, both in 1991 and in 2003, and all the years in between. This team also engineered the destruction of Libya, Syria, Yemen, Afghanistan, and in their view, hopefully Iran. Certainly it’s not just the Middle East, many of the same people were part and parcel of the US societal and political wetwork in capitals throughout South and Central America, throughout Africa, in Southeast Asia and more recently Eastern Europe. Regime change is their chosen field, albeit they learn little from the past and are remarkably unaware of their limitations. We call them neoconservatives, but beyond that our focus should be on a set of specific individuals. You know their names, like Rumsfeld, Cheney, Bolton, Feith, Wolfowitz, Abrams, Perle, the lower tier of up-and-comers like the guys I worked with and around, like the Wurmsers, Bill Luti, even former youngsters like Trigilio. I wrote about this crowd in 2003 and 2004, and they never went away. The fifteen plus years, after a very successful propaganda campaign here at home, have been filled with neoconservative successes. Wes Clark’s explanation of the list of countries we were to destroy is a lot shorter than it once was, thanks to two two-term presidents and the sustained efforts of neoconservative propagandists, the military industrial complex along with the Israeli lobby that have all oriented their business plans and political sponsorships around federal war spending. The American people may be curious about what the late 20th and early 21st century has wrought for the land of the free. With Republicrats and Demopublicans all advocating the policies of their sponsors, getting honest answers isn’t easy, and those often lead to more frustration for American taxpayers and patriots. Iran still stands, but a grand military chessboard has been set up around that nation and her likely protectors. A unique vision for a greater Israel advocated by fewer than ten thousand people in the world is driving every step of US global policy. 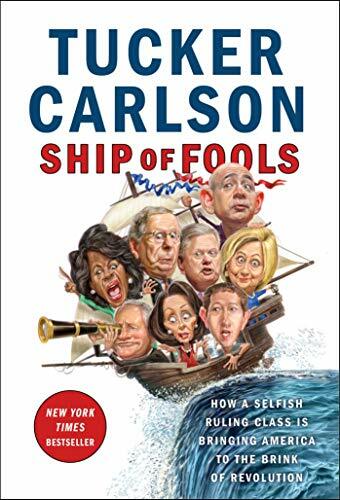 Ship of Fools: How a S... Tucker Carlson Best Price: $2.46 Buy New $7.29 (as of 01:20 EDT - Details) Those interested in critiquing the President would be well advised to focus on the criminals he is currently hiring, rather than those he hired before he was elected. John Bolton, a workaday neoconservative in fomenting the Iraq war in 2002, is now the national security advisor. He employs neoconservative operatives in DC including Bill Luti, Doug Feith, Jim Woolsey, John Trigilio and the old gang from JINSA. These are the same people we saw in operation in 2002, spending our money and spinning fantasies of destruction. They are in a hurry now, before the music stops. Bolton, a “kiss up, kick down” bureaucrat is certainly overdue due for a firing by Trump, but some parasites do outlast the host. Bases in eastern Syria are already built, mirroring those guarding oil fields and pipelines in Iraq, across the Red Sea in the Horn of Africa, throughout the paranoid sheikdoms, and all over Afghanistan, surrounding Iran on all sides. To match these, we have an array of bases and arrangements with most of the countries near and around the Black Sea. Hostilities with Russia are nurtured daily with tender care by the likes of John Bolton and his team. Unlike Trump, these folks have never created a job, never built a building, never created wealth except through the tax-funded business of war. They reject the world of making things, and instead apply the science-based idea of creative destruction to the people and industries of whole nations, and they do so with the fervor of true believers. That they might personally become wealthy, with this or that investment in the chaos and vacuums they might create, is just a dark and silky gravy. Change is coming for the neoconservative movement, and it is cause for optimism. The righteous contempt cultivated in the last presidential election for the leaders and decrepit spokesmen and women of both major war parties is not only palpable but growing. Patience is thin. That the two parties would prefer we argue with each other around our dinner tables and bars, we find that we are often in major agreement on one fact – our government lies, fights, steals and destroys as a matter of course, at home and abroad. It is the reason Trump is President now, and it was never really about Trump. It was about the people’s contempt, distrust and unambiguous dislike for her arrogant, largely unelected rulers. In my talk, I advocated that we all work to tell the truth, and to discern the difference between truth and lies. We already know D.C. and the federal government’s security apparatus at large, with its mouthpieces in major domestic media, produces a steady stream of lies and despises the truth. We need to start thinking about what happens when the lies of a powerful bureaucratic state begin to fall apart, and to consider preparing for the fallout. It’s closer than you think.